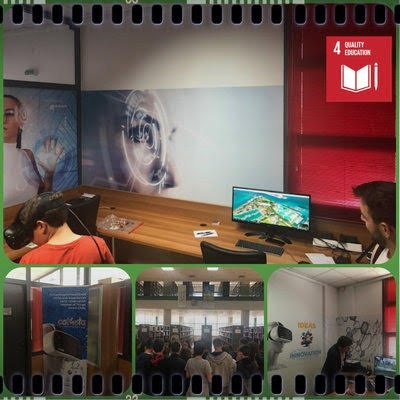 Our students visited the Technology Park and, in particular, the innovative company Cotheta, which specializes in "augmented reality" technology for smart living, cultural heritage and the environment, where with VR glasses they tried a virtual trip to the world. Later, they were guided to the Library, where they gathered useful information about its structure and operation. The educational visit was very interesting, combining a variety of "information" in the science and research environment of the University of Ioannina. So, we successfully implemented Goal 4: Quality Education. In the picture you see The Bosco Verticale (the Vertical Forest) in Milan. The towers have a height of around 100 metres and contain more than 900 trees in the terraces of the two towers.The towers were designed by Boeri Studio. The building helps mitigate smog and produce oxygen. At school we worked to reproduce these two towers symbolising the importance of a clean world. We are realising the different pieces by means of a 3D printer. 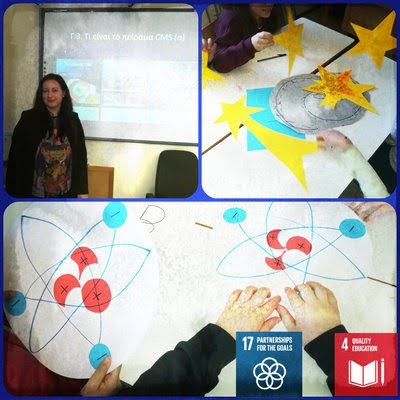 On March 4th 2019, we had the opportunity to attend the experimental “Playing with Protons” program of CERN (Conseil Européen pour la Recherche Nucléaire), which aims to make students familiar with the CERN experiments and particle physics. Initially, the Nuclear Research Center, founded in 1954 by twelve European countries and based in Geneva, was presented by the Ambassador of the program in our region. The students were then informed about the scientific achievements of the center, including the WorldWide Web and the Higgs boson, about the experiments that take place and, finally, presented the theory of bigbang through theatrical game. 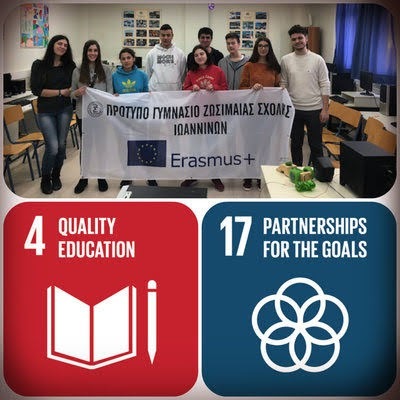 So, we successfully implemented Goal 17: Partnerships for the Goals and Goal 4: Quality Education. On the 11th April our students have taken part in a seminar on Goal 3 "GOOD HEALTH AND WELL-BEING" organised by our school in collaboration with a women association "FIDAPA BPW ITALY -SECTION OF ENNA". 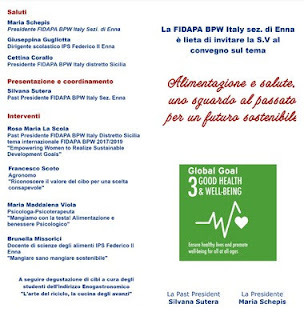 The main theme is "FOOD AND HEALTH, A SIGHT TO THE PAST FOR A SUSTAINABLE FUTURE" . 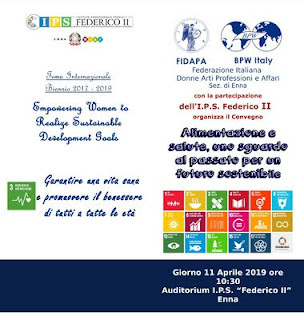 The issue is "Empowering women to realize sustainable development goals". 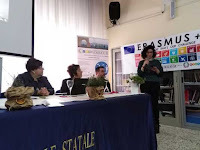 Ous students intervened to tell how they have become consciuos of the importance of the issue for the sustainability of the planet and they have talked about all the actions, related to this Goal, realised during these two years of Erasmus project "agenda 2030:that's our challenge" and how the students' sensibility to the theme has developed in the course of these two years thanks to the Erasmus project . I add some photos of the seminar. 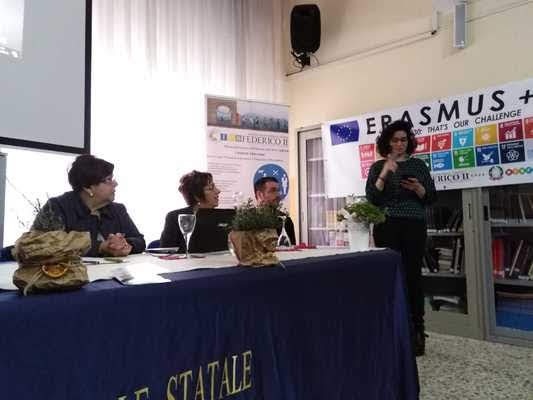 The Erasmus team of our school actively participated in the 2nd Science and Sustainability Festival ISCAR 2019, which was held in Ioannina on March 20th with the contribution of the University of Ioannina. Our students have best served the dissemination of their goals and their actions to a wide audience of scientists and fellow citizens. 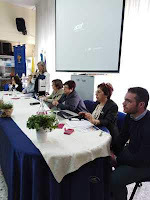 In addition, they presented the common components of co-operation with schools in Germany, Spain and Sicily, mainly as they were formed during their mobility to and from these three countries. Lots of people congratulated them for their excellent presentation. 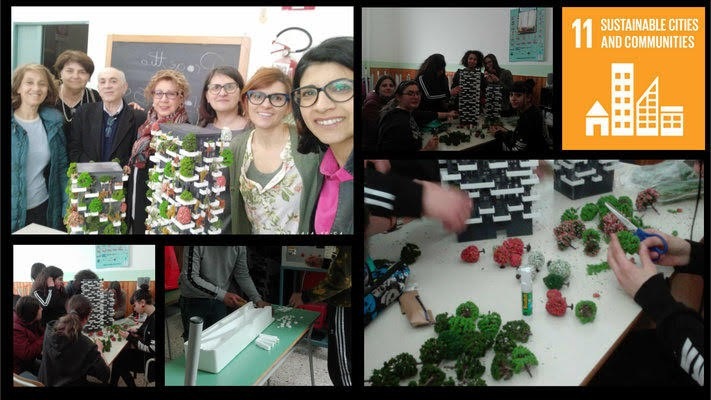 An original joint action of the Mathematics-Physics, Informatics and Philanagnosis (Literature) Clubs of "Zosiminds in Action" was implemented in March. 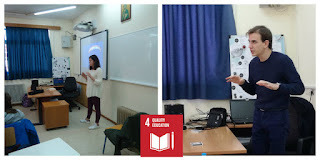 Two former students of our school presented to current students their performance on some projects. 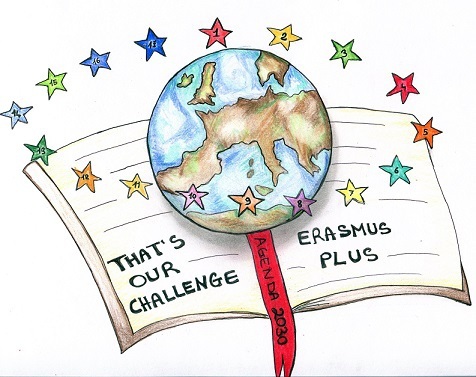 Thus, one of them engaged students with smart mental games and quizzes, while the other referred to the “satellite” (Algorithm Guided Modular Probe), a device of the school team Zephyrus II, for which they were awarded a European prize. Our current students were positively motivated by the inter-teaching process, which served Goal 4: Quality Education. On 22 February 2019, Erasmus+ Student Network (ESN) members visited our school and presented the objectives of the Erasmus+ in Schools program. The aim of the presentation was to inform students about the positive perspective for Europeans aged over 13 to study or practice in a European country. 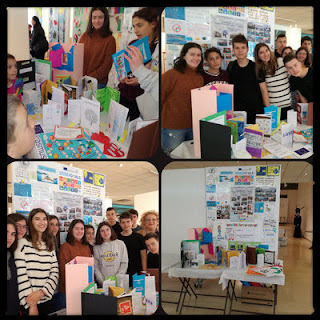 The students informed the children about the practical benefits that one can gain through his participation in a student exchange program, as well as the equally important interpersonal, cooperative and communicative skills he acquires (softskills). 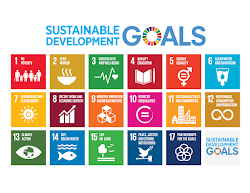 During this action, we served Goal 17: Partnerships for the Goals and Goal 4: Quality Education.